Why is it so hard for the Dems to call for all of the people that want to come to this country to come legally, why aren’t they shouting from the rooftops, go to a U.S. Embassy, go to a port of entry!? We don’t need immigration reform… We need a wall for people who want to come to America from the south comes through a Port of Entry. It has become so obvious that the Democrats will do anything to get power back in Washington. Ignorant people vote Democrats… Smart knowledgeable people vote Republican. 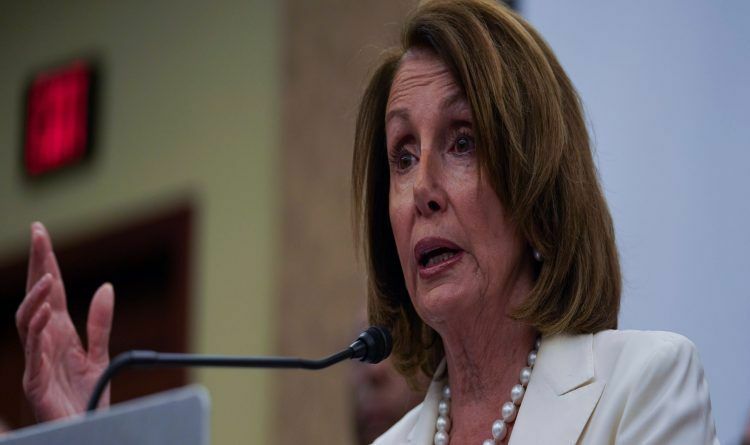 Nancy Pelosi said at a press conference in El Paso, Texas on Wednesday that voting for Democrats gives “leverage” to illegal immigrants. Watch the video below! “We believe that we will have leverage when we win in November. And why that’s important?” Pelosi said. Guess we need to change the way we register people to vote and need proof. No more when you get a driver’s license you can register. Need to go back to an old standard that worked. Does Pelosi even hear what she is saying when she starts speaking??? Half the time she says things no one can understand and the other half she is outright saying all the illegal things the democrat party does to get votes. She nor her party is for the best interest of the American people. They are more concerned about bringing illegals in and giving them free handouts in exchange for their votes. These politicians like Pelosi and Waters have lived off the American people too long. America needs to color our country-RED and put America back on track. Vote Trump and those that work for our country not against it! !